Keeping warm at the front desk has to be fashionable and professional. Provide the ladies in your hospitality team a fine gauge cardigan sweater that they will love to wear. This open cardigan features full fashioned sleeves with hemmed cuff and bottom for a clean appearance. 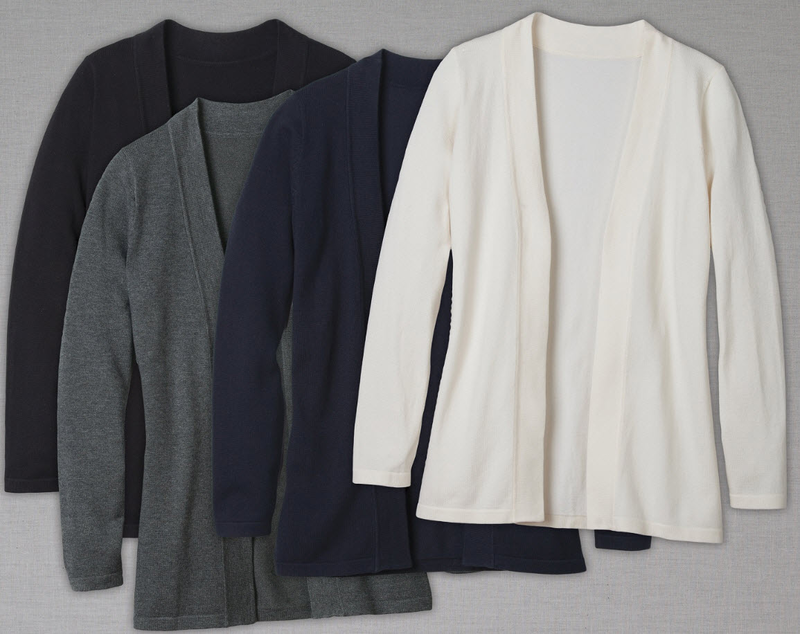 The cardigan’s longer length gives its wearer a flattering silhouette. With a lightweight blend of 52% cotton, 31% acrylic, and 17% nylon this open cardigan looks and feels great. Get these hospitality sweaters in black, smoke heather, cream, or navy from SharperUniforms.com today. We purchased sweaters for our office staff. The order process was very easy. The order arrived very soon after we ordered and the sweaters are a very nice quality. The staff has been enjoying wearing their new sweaters. I would consider ordering other products in the future. Thank you.